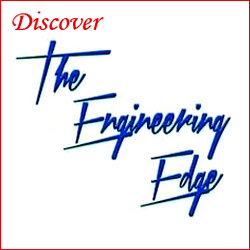 Linear Motion – Linear Guide Systems Move 1200 Lb. Loads At Speeds Of 30 Feet Per-Second! 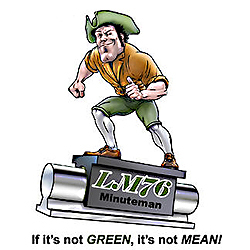 E. Longmeadow, MA – Two new series of high speed, low cost, compact linear guide systems called, “Speed Guides,TM” have been introduced by LM76. 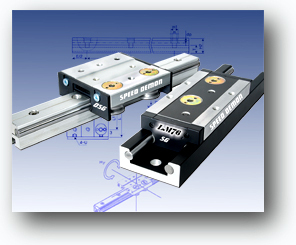 The Speed Demon OSG type and Speed Demon SG type linear guide systems are designed for speeds up to 10 m/sec. (32.8 ft/sec. ), accelerations to 50 m/sec.2 and loads up to 5600 N. (1259 lbs.). 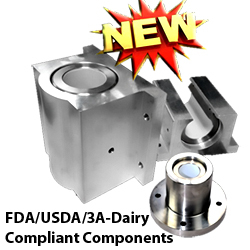 These quiet, low profile guide systems are ideal for: High speed assembly and sorting operations, pick and place robots, industrial, office, and packaging machines, vacuum applications, and medical equipment (including patient care devices).